Being among the top 15 countries with the fastest growing medical market, Indonesia gives a big opportunity for the sales and distribution of medical devices. The current market size is estimated to be US$ 750 Mio. and is showing a constant growth rate of approx.. 12 – 13%. Analysts see the market grow up to US$ 1.200 Mio by 2019. As Indonesia can only satisfy its needs for medial devices with a local production of 15%, the country is strongly depending on the import of medical equipment and thus on foreign producers and manufactures. Entering the market might be very promising, but there are some hurdles foreign suppliers have to fulfil. Beside the necessity to have a local sales agent or a full set legal entity with a local partner, the registration of medical devices is quite a challenge. Without this registration and its various licenses and permits a successful market entry or even the import of products or spare parts is impossible. 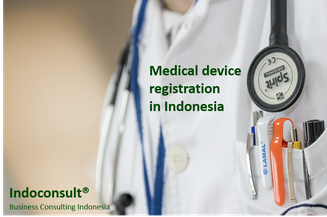 In the following article we would like to show you in brief about the process of medial device registration, the classification of medical devices and some of the necessary preconditions to register a medical device in Indonesia. As the registration process differs from the classification of the devices and sometimes based on the decision of the relevant authorities, this article can only show an abstract of the process. For each device registration, we strongly recommend to contact a specialized consultant, who can guide you through the process. The process regarding the registration of medical devices is currently done via an online portal, which is hosted by the Department of Pharmaceuticals and Medical Devices of the Ministry of Health. This online portal should make it easier for foreign companies to register their products in Indonesia but applicants need to be aware that there is still a lot of offline work involved. The overall process can take between 45 days up to 3-4 months, depending on the classification of the device, the availability of the documents and acknowledgement them by the Indonesian authorities. This time does not include the preparation works such as legalizations, translations and preparation of application documents, which can also take several months in advance to the application. Indonesia is very restrictive on the approval of new devices coming into the country. This not only in terms of patient security but also in terms of protecting local producers from outside competition. Foreign producers might face a rejection of their application not because the device does not comply with local safety standards, but because a local company already produces or sells a similar device in Indonesia. From a legal point this is indeed a very doubtful practice, but it is reality in Indonesia. It is very helpful if you know already, in advance if a similar device is already on the market. Furthermore an existing registration in another ASEAN Country can help you to speed up the registration process due the ASEAN Medical Device Directive (AMDD), which defines ASEAN-wide standards for medical devices. Other national regulatory standards such as FDA registrations can be presented but will not impact the local registration procedure. Nevertheless, it is recommended that the device already obtained a registration in the producer country. Starting your application process, your device will be classified into one of three categories, which defines the procedure for application, the necessary steps and documents to be provided. Class I – Low Risk / In case of malfunction or misuse the device would not cause serious harm. Class II – Moderate Risk / I n case of failure or misuse the device can give significant impact on the health of patients, but not a serious accident. Class III – High Risk / The failure or misuse of these devices can result in serious implications for the patients or nurses/operators. The classification II is again split into two sub-classifications a and b, which define different approval requirements such as clinical evaluation, etc. The problem is that this classifications spilt opens a lot of interpretation room for the registration officers. Another important factor which is defined by the classification or the administrative registration fees. These fees can range between some hundred up to some tens of thousands USD, depending on the evaluation time and process. An obtained license for a product will be valid for a period of 5 years and must be renewed by the producer. 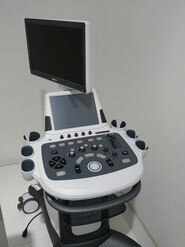 Introduction of the medial device describing its unique features, intended use, indications for use and an outline of the CSDT content. Important information in regards to performance and safety of the device. From time to time the responsible officers or the expert team might request for additional information. This should normally not happen, but especially in class III this procedure is common. Prior to the application a foreign producer needs to obtain a distributor’s license. This basically means that one must have a local Indonesian distributor, who is exclusively appointed to sell the producers devices on the local market. Be aware that the distributor’s license will also require some time as far as there a several steps to be taken to appoint a distributor in Indonesia. Including this process the total time line can easily go up to 6-12 months until one can start marketing and selling its products in Indonesia. Overall the medical device registration is a sophisticated and demanding process, which involves a lot of time, money and sometimes patients and endurance. But once you have your products registered and a good sales channel in Indonesia it can turn out to have one of the most profitable markets in the region. The size of the market, its growth rates and the increasing demand of Indonesians for modern medical diagnostics and treatment opens big changes for producers. Of course the country is controlling strictly what is issued on their patients, but international manufactures should be able to cope with this control mechanism and get their products into a promising healthcare market. If you would like to know more about medical device registration or if you need support on the process, getting a reliable distributor and/or market in Indonesia our experts are looking forward to helping you. Simply contact us via e-mail at mail@indoconsult.de and our consultants will get in touch with you, supporting you in your particular demand. Hi, i would like to register some of my ipl and laser machines. Do you assist in habdling the paperwork? Doea the appointed distributor need to be a local owned company or can I open a company in Indonesia to do that? yes we do assist in medical device registration in Indonesia. You will need a local company as distributor. It is not possible to open your own company because the distributor will need to have 100% local ownership. 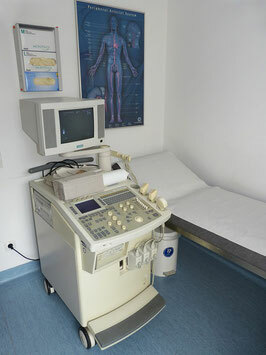 You can send us your details to mail@indoconsult.de and our specialists will get in touch with you. Our company name: V.R.ORTHO(INDIA).we are manufacturing Maxillofacial/Orthopaedic/Spine/Arthroscopy Implants & Instruments.we have certified with ISO/CE/FDA/BIOCOMPABILITY TEST APPROVED COMPANY.has we are searching distributors in INDONESIA.so pls let us know how to register there for our products.pls help us sir.